Salvation And Survival: Our Shrinking Army: Is This Good For America? Our Shrinking Army: Is This Good For America? The New York Times is reporting that Pentagon officials are touting a new proposed budget as a way to simultaneously accomplish two goals: 1) address the economic reality of our government being able to continue to fund the costly wars in Afghanistan and Iraq, and 2) allowing the President to make good on his pledge to end these two expensive and exhausting land wars. This would, they argue, take the U.S. off the war footing that has cost this country so much; both in budgetary aspects and human sacrifice. These officials are careful to point out that a smaller budget will leave us with a military capable of defeating any adversary, but too small for protracted foreign occupations. But there is a shocking fact that you also need to be aware of .... this new budget will shrink the United States Army to its smallest force since before the World War II buildup and eliminate an entire class of Air Force attack jets! Do they really think that is a good idea with the threats (both real and implied) that we are receiving from Iran, North Korea and China? Yes, they say, we Americans need to realize that our servicemen and women will be at greater risk if they are called upon to carry out multiple military actions. Oh, and by the way, any chances of winning any of these engagements will be less and take longer; and don't forget that the number of casualties will be higher. But don't worry, it will be a more agile, more capable, and more modern Army. More about that concept later. Think about it! This smaller Pentagon budget will not only affect our national security, but everything and everyone; from eliminating the entire fleet of Air Force A-10 attack aircraft to reductions in National Guard personnel to limiting the number of Navy ships built. But, not to worry ... officials said that despite these budget reductions, the military would have the money to remain the most capable in the world and that Defense Secretary Chuck Hagel's proposals have the endorsement of the Joint Chiefs of Staff. I'm going to be brutally honest here. I'm not too sure that the Joint Chiefs of Staff haven't gotten too comfortable in their political roles lately. I'm just not confident that they truly look out for the best interests of our military; their careers in DC seem to take precedent. And are they truly independent of the Executive Branch? Those who dare to question seem to have their careers shortened prematurely. While I am certainly not qualified to make any judgments or suggestions regarding these matters, I am aware enough of the state of the world to realize that downsizing our military in these turbulent times leaves us open to the aggression of our enemies; and there are several groups and nation/states who are only too proud to call themselves our adversaries. But maybe there's more to this story than is on the surface. Remember the assurance that our Army will become more agile, more capable and more modern? Do you recall hearing the recent statement by Army General Robert Cone, who revealed that the Army is considering reducing the size of a Brigade Combat Team from 4,000 soldiers to 3,000, with robots and drones making up for the lost firepower? An article in Popular Science had an interesting spin on this little news item: While not explicitly stated, a major motivation behind replacing humans with robots is that humans are expensive. Training, feeding, and supplying them while at war is pricey, and after the soldiers leave the service, there's a lifetime of medical care to cover. 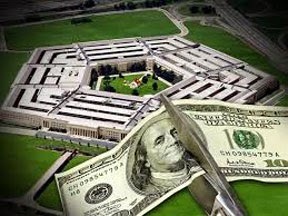 In 2012, benefits for serving and retired members of the military comprised one-quarter of the Pentagon's budget request. So, do you think this is at the heart of the Pentagon's budget reduction? Is the training, feeding and supplying of the human part of the Army not worth 1/4 of their budget? Is the ulterior motive to fund the mechanization of the Army? I realize that the military/industrial complex has become dangerously bloated and constantly needs to be fed. And I get it ... Manpower is too expensive, and robots can be designed to be more agile and capable -- and they are definitely more modern. But, again, I have to ask ... Is this good for America? Nothing this administration does is good for America. Reducing our military while Russia and China continue to build theirs seems beyond stupid or deliberate. To me it's just another step in the master plan of destroying America. Freedom only comes through military victory. Freedom can only be maintained by a strong military. Let's do away with the DHS, TSA and the NSA and give that unlimited budget to our military.